Many international shipping disputes are resolved by arbitration in London with the assistance of the London Maritime Association. In a recent decision, the Dubai Court of Appeal reaffirmed Dubai’s commitment to enforce such arbitral awards under the New York Convention. Al Tamimi & Co. acted for the successful Owner. The Owner chartered their vessel to ‘X’, with ‘Y’ countersigning the Charterparty as a guarantor. By a Final Partial Arbitration Award, the arbitrators ordered Y, as the counter signatory, to pay the Owners an amount of USD 3,800,000 plus costs, interest and arbitration fees. Prior filing a court case for the recognition and enforcement of the Award, the Owners took the precaution of seeking an attachment order over Y’s assets in the UAE to prevent them being dissipated. The application was successful and the Owners duly filed within 8 days of executing the precautionary attachment order, a claim before the Dubai Court of First Instance for the recognition and enforcement of the award. Y chose not to engage with the proceedings and the Court of First Instance proceeded to issue a judgment for recognition and enforcement. The Court stated that it was satisfied that the award complied with the 1958 New York Convention on the Recognition and Enforcement of Foreign Awards (which the UAE signed in 2006), and was in compliance with local laws and did not contradict or breach the UAE public policy. Y appealed the Court of First Instance judgment, arguing (amongst other things) that the arbitral award should be considered null and void pursuant to Article V(1) (c) of the New York Convention (i.e. the award dealt with matters outside the scope of the Tribunal’s jurisdiction). They argued that because the charterparty was concluded between the Owners and X (which was alleged to be the sole Charterer) and not Y (who was merely a counter-signatory) the arbitration agreement in the charterparty did not bind Y and so the Tribunal did not have jurisdiction to render award against them. This argument had been raised during the arbitration but had been wrongly dismissed by the Tribunal. Y raised further arguments, such as that they had been prevented from presenting their case during the arbitration, had not been properly served with the proceedings, and that the person who had counter-signed the charterparty for Y had not been properly authorised to do so. The Owners responded to the above by arguing that the issue of whether Y was a party to the charterparty or not was an issue that could only be determined by the applicable law to the contract, which was English Law (pursuant to Article 5(1)(a) of the New York Convention). The tribunal had found that under English law Y was bound by the charterparty and the arbitration clause is contained, and there was no reason to disturb this finding. As regards the alleged procedural defects, the Owners submitted that there was no merit to these allegations as Y had been duly served and had an opportunity to present its case and attend hearings, but on occasion had refused to do so. The issue of whether the person who signed the arbitration agreement is an authorized signatory on behalf of the company or not was unarguable because Y had previously acknowledged its signature on the arbitration agreement as a countersigning party. The Court of Appeal upheld the arguments made by the Owners and ordered that the arbitral award be recognised and enforced. In a short judgment the Court referred to the New York Convention, acknowledging that it applied directly to the enforcement of foreign arbitral awards, and rejected the arguments made by Y. 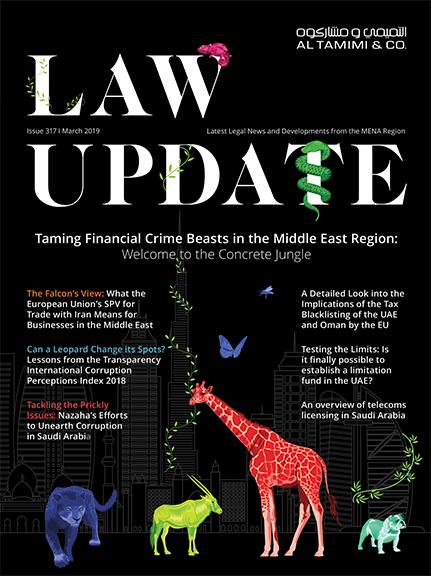 This case is a helpful reminder that the Dubai Courts generally have a pro-enforcement stance in relation to foreign arbitral awards, which is particularly important for the shipping industry since it relies heavily on arbitration. The case also serves as a practical example of how attachment orders can be sought prior to the claim for enforcement being made. Such applications are made without notice to the other side, and can help preserve assets so that once recognised the award can be enforced against the award-debtor’s assets.